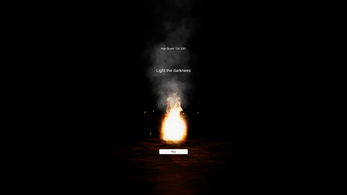 A game made for the DevSquad game jam (theme: darkness, items: fire + map). In this game, you must use FIRE as your only defense. It will make those who hunt for you visible, almost like your own personal guide or MAP. But be careful, fire is a limited resource. When you run out, you must let your consumed fire burn out, or face the punishment of DEATH!!! It was made with my friend and all assets were made by us, except a few of Unity's standard assets. Note: This game has heavy use of particle effects. 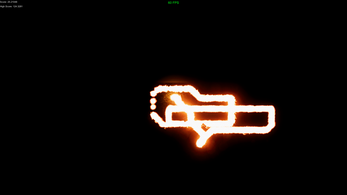 If you know your PC can't handle this, please turn down graphics quality for good performance. Also do this if FPS drops below 30. Download, unzip(using 7ZIP) and ENJOY! If viewing source code, unzip into a new folder and open in unity 5.6 or higher. Edit: apparently, the main menu screen was spawning enemies!